Points Needed: 19550 Games are not compatible with mobile and tablet devices. Please add this title to your Wish List and sign on to your the first club account from a desktop computer to complete your redemption. 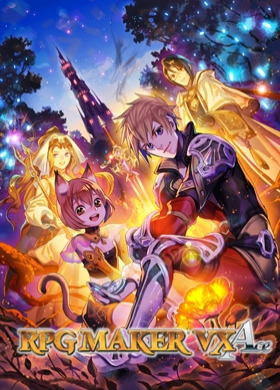 ABOUT THE GAMESimple Enough for a Child; Powerful Enough for a Developer	RPG Maker VX Ace improves every aspect of RPG creation, making it not only the latest, but also the greatest engine in the RPG Maker Series. With multiple tileset support, full autoshadow control, and a flexible features system, Ace gives you the most powerful RPG making tools ever. Ace provides all the tools you will need t… o make the game you've always dreamed of. Make your game, your way with all the following features: An enhanced map editor to build your world. A Character/Enemy/Skill/Equipment Database with a new powerful, flexible Features system. New event options, including playing Ogg Theora video. Expanded default resources, including a built in Character Generator to form your own custom sprites and faces.KEY FEATURES	Simple, Powerful ToolsRPG Make VX Ace enhances RPG making with several powerful new tools. We have never offered a product before now that allowed such flexibility to the user without the need for any coding knowledge. These new tools are not only flexible, but also incredibly simple to learn and use, being accessed through a simple point and click interface.Enhanced Default GraphicsRPG Maker VX Ace features a largely expanded collection of graphics resources, with 4 included tilesets and downed sprites included, on top of many new sprites. Ace also has the advantage of being compatible with all existing fan made RPG Maker VX resources right out of the box.Export Your Game	So you've finished your project and you are ready for others to experience your unique RPG. Export your game to a portable EXE file that can be played on ANY Windows system. Share it with your friends, your family, or even the internet! SYSTEM REQUIREMENTS OS:Microsoft® Windows® XP / Vista / 7 / 8 (32-bit/64-bit) Processor:Intel® Pentium® 4 2.0 GHz equivalent or faster processor Memory:512 MB RAM Graphics:1024 x 768 pixels or higher desktop resolution Hard Drive:400 MB HD space Copyright © 2008-2013 Degica Co., Ltd. All rights reserved.